"Lizard lovers, get ready to start your engines! The first milestone release for openSUSE 11.2 is now ready for your testing pleasure. ..."
"On Monday, Google announced the accepted projects for all of the Google Summer of Code organizations. The openSUSE Project has nine projects that were accepted for the Summer of Code 2009. The following students have had projects accepted: ..."
"Want to contribute to the openSUSE Project, but not sure where to start? Join us for the openSUSE Community Week May 11 through 17th. Want to help lead the project and mentor new community contributors? Step up and join in!" "I’m happy to announce that this year I’ll be mentoring GSoC project which will attempt to create an alternative source backend using git. Student implementing the idea is Peter Libič. I have created an openSUSE wiki page with the copy of the proposal and some useful links. Some of my colleagues (like Andreas Gruenbacher and Brandon Philips) are also interested in topic and already provided a valuable feedback. If you’d like to get involved, feel free to contact me, edit the project wiki page or join us on IRC channel #obs-git@irc.freenode.net." "Jan is one of silent community members that is active in kernel packaging and development area. Thanks to him openSUSE users have had chance to try stable real time kernel (RT kernel). He doesn’t take time to chat very often, but if you have problem and it is kernel related there is a great chance that you will have his attention, specially if you post your question to opensuse-kernel mail list." "Currently, the openSUSE-Education team is “playing” with the new features of the external build service. As a first result, we’re proud to announce our new live/installable DVD!" "Some tricks to the python language, collected by Nick Vargish. Good work!" "Well, I really prefer a linux box to develop. 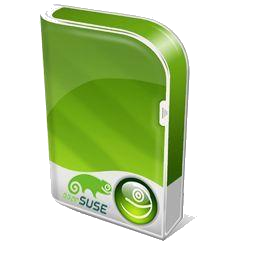 I use SuSe/openSUSE since 1999, and its my development box to python. Now its time to learn something about python: how to run scripts. I posted about Eric, but I like VIM or VI to programming too. Its the most simple way to write small scripts and after I can test at command-line." "After some discussions with Ludwig Nussel and on opensuse-buildservice mailing lists, I implemented and committed an osc vc command. This is based on buildvc script written by Ludwig and is available in build.rpm (from version 2009.04.17). It has the same behavior as an old vc command." "According to previous article, I have a problem installing Zimbra Mail Server & Collaboration Suite into openSUSE 11.0 or 11.1. I could only get it installed with openSUSE 10.3. The main problem is about incompatibility between Perl on Zimbra binary and Perl on openSUSE 11.x. .."
It's been a long time - but now xplanet 1.2.1 is out ! "There was a discussion about how to host REPLs in applications like MonoDevelop recently and some of the discussion was centered around how to host something like a shell into a program like MD. Since I have been thinking about building a Silverlight-based version of the Midnight Commander (OH NOES!) I figured I should share some thoughts that I had on this matter." "Bring up free fonts around typeface designers, and you’ll probably get an earful about the relative quality of free and open source designs against the professionally designed fonts. Mark Pilgrim, over on Dive into Mark gives an earful back." "I just released Gnote 0.2.0. Here is the changelog: New features Now support addins (Bug #578980): - Fixed Width Show addins in preferences." "Today I discovered Dropbox, an online storage and synchronization tool. It offers 2 GB of free storage to its users and is available for Mac OS X, Windows and Linux. I’ve tested it on Linux and Windows so far and it’s working great. If you’re tired of carrying around USB sticks to share files between different workstations, be sure to check it out. Hint: by clicking on the link above you (and me) will get 250 MB of free online storage as a bonus." IP Address Visible in NTTP - Does it Concern You? "Your IP address is visible in the header info in NTTP. Does that concern you? Users have commented here and there is a varied response." "More Big Business news with possible implications for 'Linux' as a result. IMO it's not likely to Life Changing - And who knows - some good may even result." "What starts as a general question on KDE proves to be a useful few pointers on Compiz in KDE4. @ijbreakey has been offering good advice on this subject in the forum recently. It should be noted that Compiz effects can be achieved with the default kwin window manager too." "Welcome to another issue of the Kontact series, this week we will give a look to Feeds part of Kontact, I used to use this application on KDE 3.5, and it seems like it didn't change much, but, don't misunderstand me, this isn't a bad thing, since Akregator probably have on of the simplest, powerful and easy to use interfaces all around KDE. Let's go on Eye-wink"
Joe Brockmeier: What does Oracle mean for Sun's open source efforts? "So much for a big blue Sun. Instead, the company is being gobbled up Oracle for about $7.4 billion. Does this mean that Oracle will become “the biggest contributor to open source,” or a gaping hole in the FOSS ecosystem? Sun often likes to brag that it’s the largest contributor to open source — and not without some justification. The company does participate in a lot of projects, and with OpenOffice.org, MySQL, and Java, controls some pretty hefty pieces of the open source ecosystem." OpenSUSE comes now pre-installed on Shuttle Europe mini-pc's. "Shuttlex270v-sbIt wasn’t so long ago that if you wanted a HTPC, the best you could hope for was a computer roughly the size of your average cable box and a bit thicker. Today there are a number of very small and thin HTPC systems available that are sized more like a Nintendo Wii." "Dovecot is an IMAP server whose major goals are security and extreme reliability. It uses index files to optimally store the mailbox state, which makes it very fast even with huge mailboxes. Indexes won't prevent external mailbox updates, so Dovecot is still fully compatible with standard Maildir and mbox formats. There's also a fully featured POP3 server included." "Privoxy is a Web proxy based on Internet Junkbuster with advanced filtering capabilities for protecting privacy, filtering Web page content, managing cookies, controlling access, and removing ads, banners, pop-ups, and other obnoxious Internet junk. Privoxy has a very flexible configuration and can be customized to suit individual needs and tastes. Privoxy is useful for both stand-alone systems and multi-user networks." lists.opensuse.org has 36814 (-1) non-unique subscribers to all mailing lists. The openSUSE Forums have 26847 (+329) registered users - most users including guests ever online was 7771, 02-Dec-2008 at 17:31. 2728 (+24) of 6349 (+127) registered contributors in the User Directory have signed the Guiding Principles. The board has acknowledged 270 (+6) members. The Build Service now hosts 6010 (+67) projects, 63929 (+409) packages, 11528 (-36) repositories by 14323 (+142) confirmed users. We are pleased to announce, that the openSUSE Weekly News are available as Livestream or Podcast in the German Language. You can hear it or download it on http://blog.radiotux.de . This page was last modified on 8 July 2010, at 11:12.